Not since the cell phone revolutionized the real estate industry has an innovation had such impact. 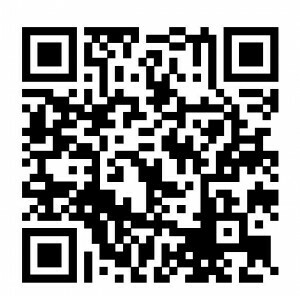 The QR (Quick Response) technology code will streamline the marketing of your real estate listing by giving buyers what they need at the snap of an app! What is essentially a barcode (like the types used on grocery items and in retail stores) is actually a portal to information. The QR code can be printed on just about anything and can be read with the use of a QR scanner application that is added to a cell phone with a camera or a smart phone. The code itself is essentially a hard link that can direct home buyers to the place we want to send them. All the home seeker has to do is point and click their phone at the QR code and they’ll be “transported” to a virtual location. For example, we can print a real estate flyer with a QR code that a potential buyer can scan and get routed directly to your home’s virtual tour. The QR code could even contain a link to my website so they can easily read additional information about your listing beyond what can be presented on a box flyer. The power that this technology puts in the hands of the consumer is just extraordinary. Coldwell Banker is the first local real estate brokerage to use QR codes to link mobile devices with the real estate cyber world. When you click to connect, potential buyers will get what they need when they need it. And since we’re talking about real estate, timing is everything! Call me if you have any questions about this or any opportunities in this market!